Curiosity rover recently sent a photo to the Earth, which shows a pyramid on the Mars. The photos were taken through camera shots of the NASA rover. At first glance, it was similar to the great pyramids in Egypt. However, some sources explained that the pyramid is actually only about the size of a car. 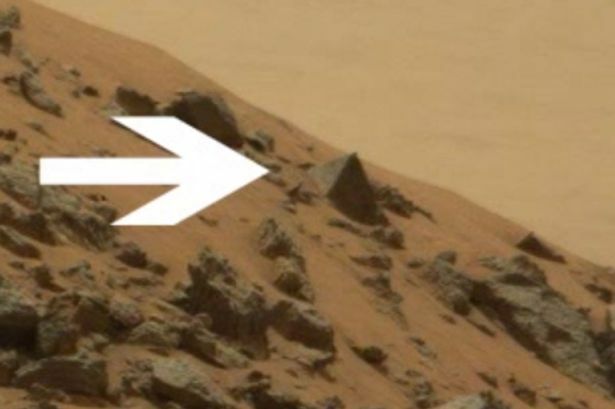 Many also suspect that the pyramids are just some Martian rocks are unintentionally formed into triangular shape. Suddenly, the image is instantly became hits on the internet and broadcast a variety of online media. This phenomenon is directly inviting a wide range of responses from scientists and space phenomenon enthusiasts, most of them would say that the shape of the pyramid could be evidence of an extraterrestrial life on Mars. Another speculation came from the Paranormal Crucible channel on YouTube explaining that the pyramid is simply a result of intelligent design rather than a trick of light and shadow. as quoted from the Mirror website on Friday, June 26, 2015. 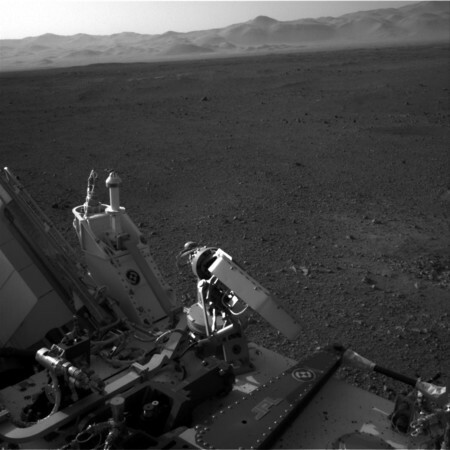 This is not the first time NASA has an expedition mission to Mars and even get a photo of the mysterious pyramid. Previously, many years ago, a giant pyramid in the region named `Cydonia` been found in the Viking missions in 1976. The pyramid has almost 3 kilometers long and 1 kilometer high. This pyramid is named 'D&M Pyramid', referring to the name of two researchers, DiPietro and Molenaar. However, although impressed complicated, it turns out geological formations such as the pyramids can also be found also on Our Earth. They are usually formed as a closed glacier or frozen because of the weather. Some examples are the Mount Assiniboine in Canada and the Matterhorn in Switzerland.